Exhaust Gas Scrubbers for MARPOL Compliance. 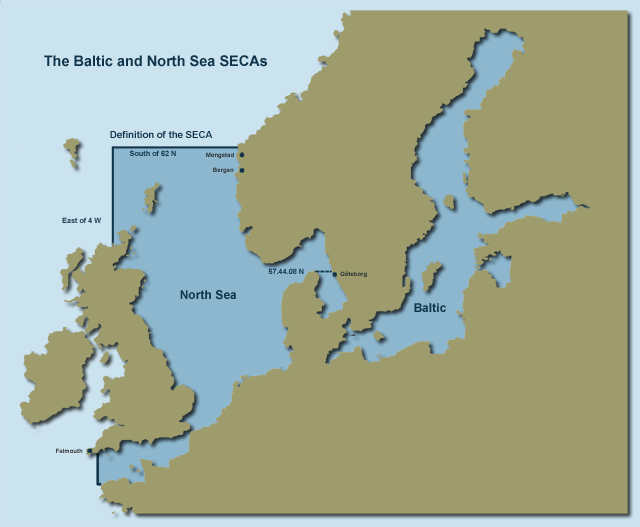 Starting January, 1, 2015 the new MARPOL Annex VI regulations limit the level of fuel sulphur emissions to 0.10% m/m (from 1.00%) in Emission Control Areas in Norther Europe and the United State. 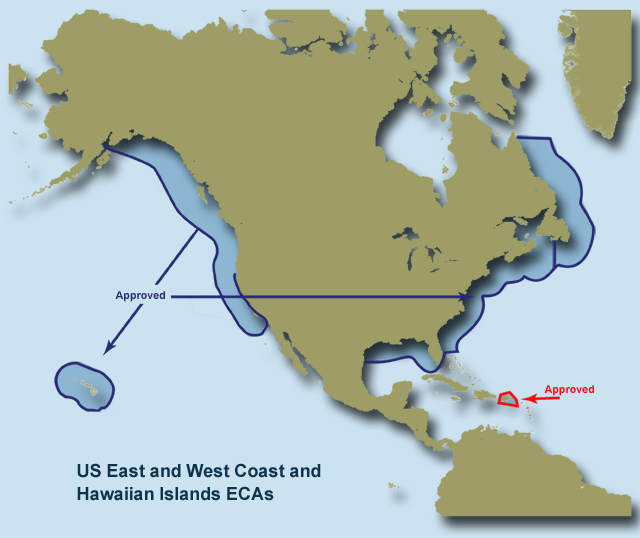 Emissions Control Zones, known as ECAs, were established in the North Sea/Baltic and the US and US Caribbean Sea are. Violations can be costly and cumbersome. Ship owners face two choices: Burn low-sulphur fuel, a highly expensive proposition due to pricing and availability. Or meet requirements with the help of Marine Exhaust Gas Scrubber technology. CROcean Engineering Marine Exhaust Gas Scrubbers combine over 60 years experience developing technologies to meet the most stubborn emissions challenges with a thorough understanding of the needs of the marine industry, including the need for small footprints and ease of retrofit into existing structures; the need for high reliability and high uncompromised efficiency, as well as the need to reduce weight at the higher elevations to minimize impact to stability calculations. The CROE® Marine Exhaust Gas Scrubbers reduce the SO2 content of engine flue gas to below that found in 0.1% Sulphur fuel (the equivalency standard) even when burning high sulphur fuels. The CROE® Marine Exhaust Gas Scrubbers are available in three standard configurations, customizable to the ship’s needs: a) as a once through scrubber, also known and Open Loop; b) as a recirculating scrubber, also known as Closed Loop; and c) as a combination of both designs, also known as Hybrid. More details here. They can be retrofitted into existing ships. And are also the perfect choice for new builds. Here you can find out more details about the emissions and MARPOL compliance requirements. Here you can find out the financial benefits of CROE marine exhaust gas scrubbers. Here you can download our brochure.